means the garment was made well. and durability while improving fabric hand and sewability. weights - from ultra-lightweight to heavyweight. while maintaining the comfort of cotton. tear strength for woven fabrics, reducing fabric rips, snags and punch-throughs. to see the latest collection of durable performance products. 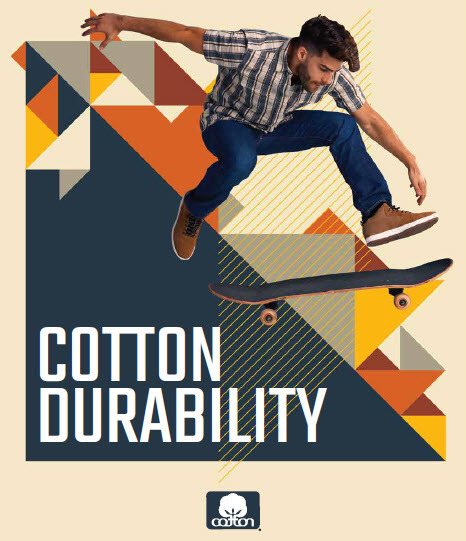 Source: 1 - CCI & Cotton Incorporated 2016 Activewear Study, 2 - Cotton Incorporated’s Lifestyle Monitor™ Survey 2016..